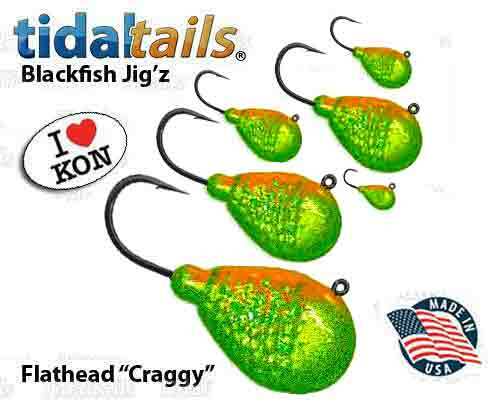 Designed for Straight Drops to the bottom on light to medium spinning gear, using braided or monofilament lines and fluorocarbon leaders. 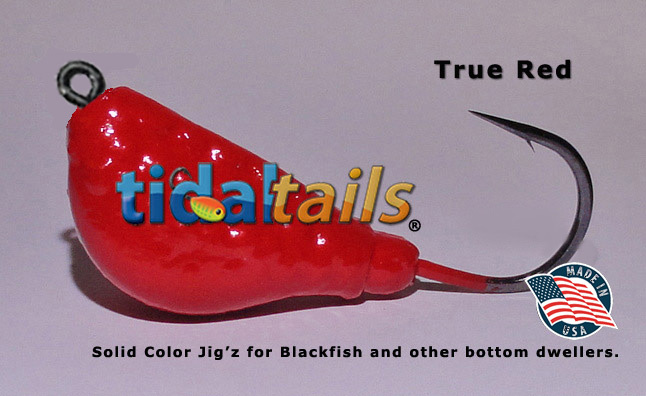 Originally designed for shallow water with light jig's and deeper drops with heavier gear and larger jig'z. 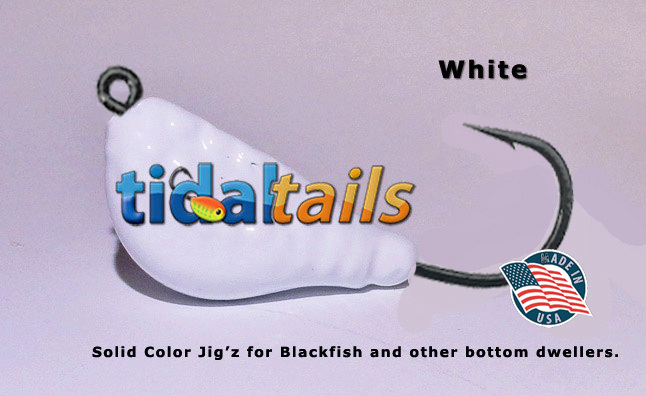 Using the Tidaltails Blackfish Jig is as simple as this. 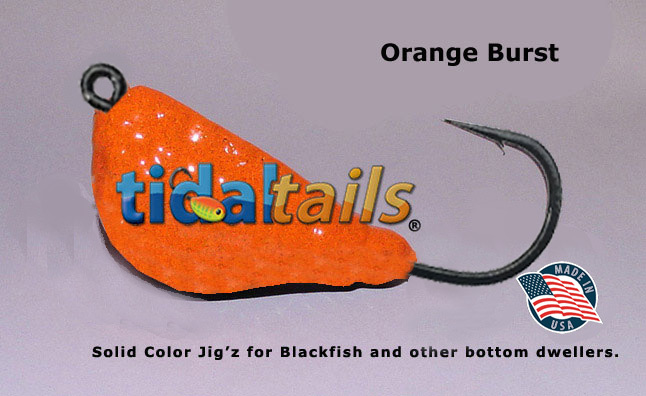 Add your crab or favorite bait, drop it down, move it slowly. feel the bite, lift slowly then set the hook. 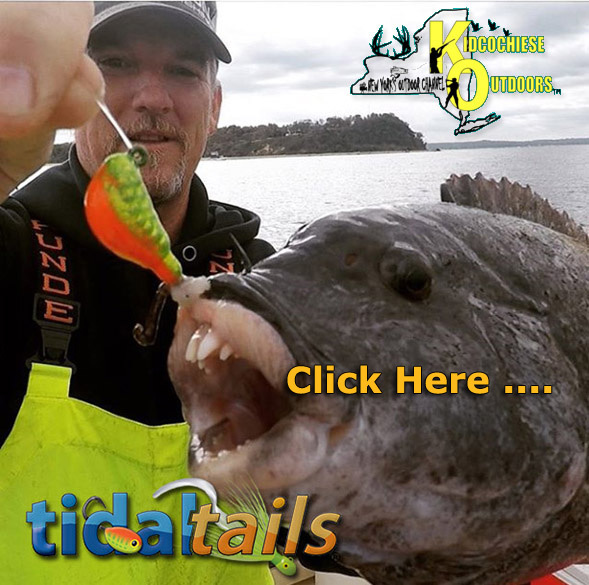 Watch Video: Kidcochese Outdoors.  Designed for shallow to mid depths using light to medium spinning gear, with braided or monofilament lines and fluorocarbon leaders. 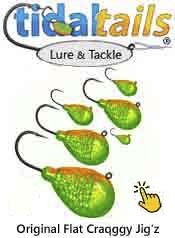 Great pitching jig. Near bridge and pilings. 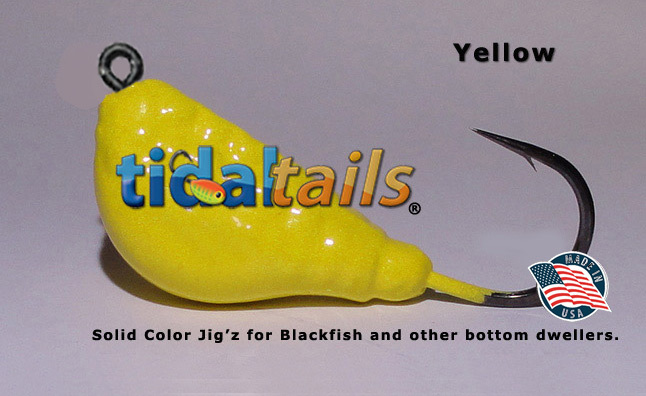 Very popular with Kayak anglers. 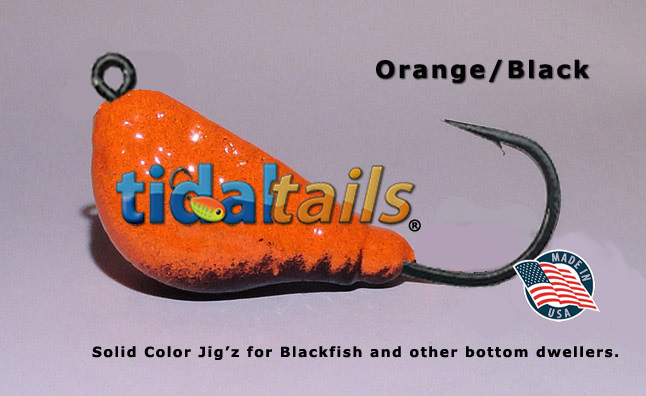 Using the Tidaltails Blackfish Jig is as simple as this. 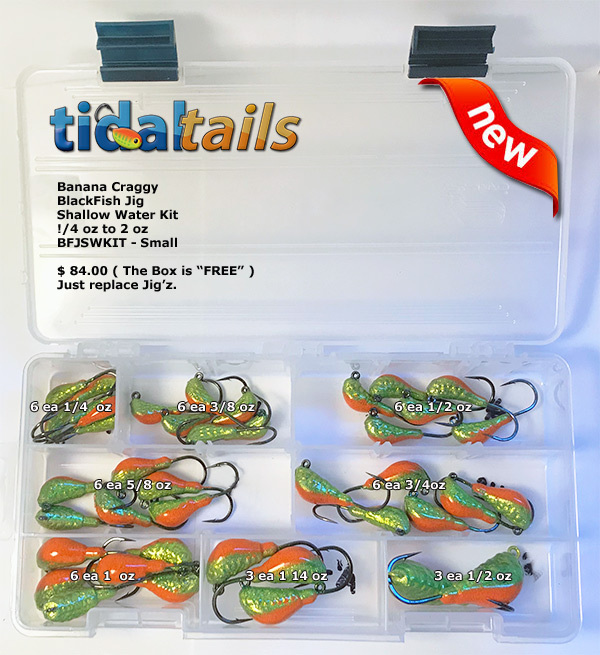 Add your crab or favorite bait, drop it down, move it slowly. 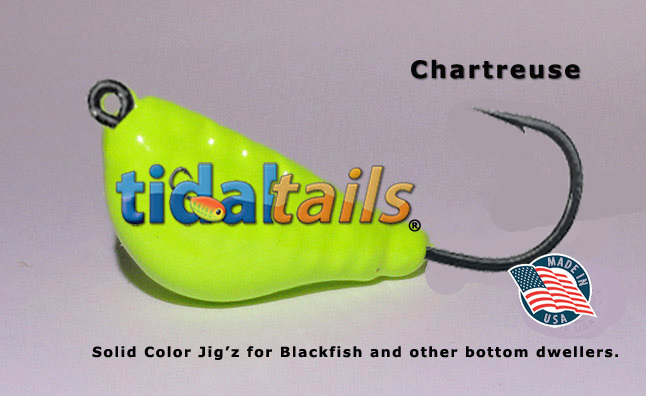 feel the bite, lift slowly then set the hook. 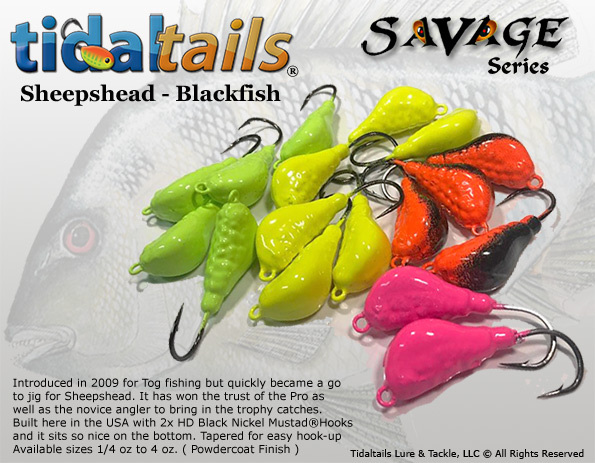 Molded around 2X H.D Black Nickel Hooks. 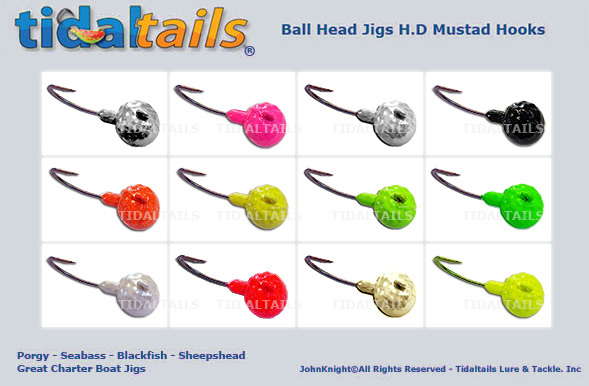 LIVE BAIT BALL HEAD JIGS - Economy Priced. 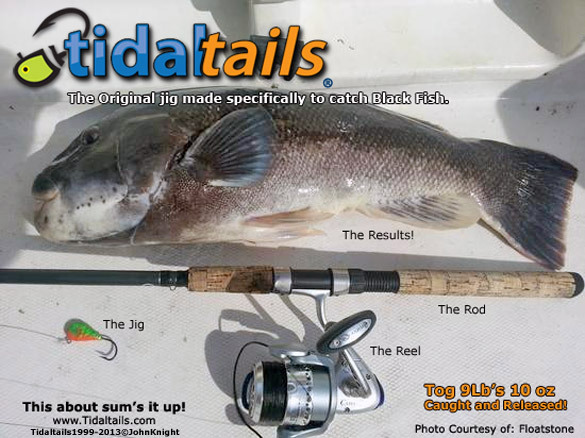 Great for beginners, Charter Boat Fishing or really sticky spots. 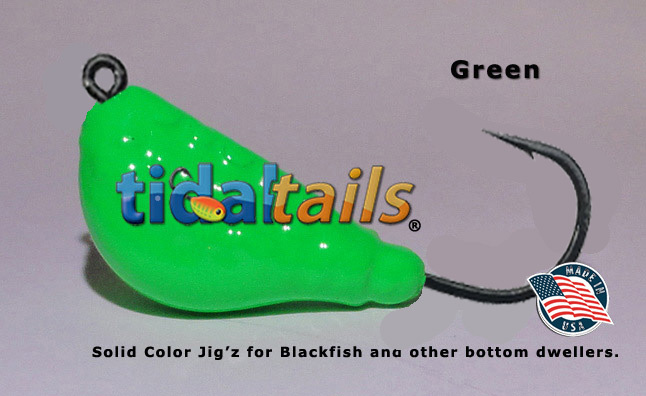 This classic jig is designed to be tipped with minnow, crab or other live bait. 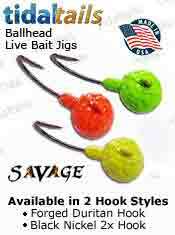 A short shank wide gap 2x Hook is used to keep the bait close in for enhanced action and hook up. 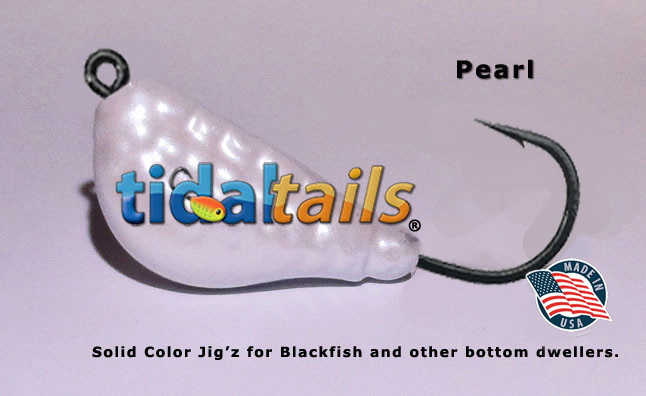 This Jig has become very popular for Blackfish, Porgy, Using Crab, live shrimp and other baits of choice.. 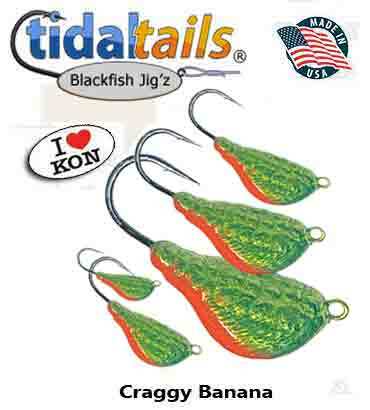 These were our go to jigs prior to introducing our Craggy flat and banana blackfish jig'z. 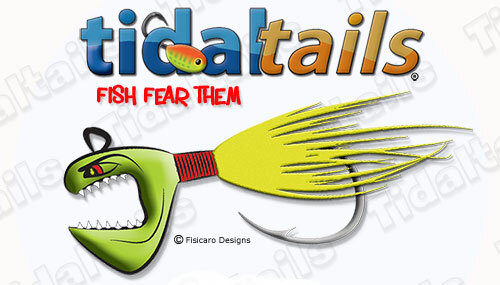 Good for fishing jetty's breakwaters, pilings and pitching into skinny water or straight drops off a boat or kayak. Snag resistant jig. 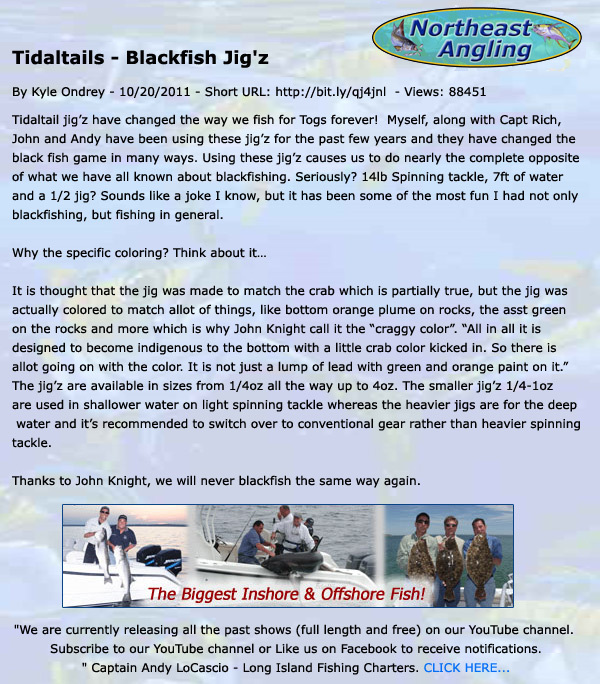 New Starter Kit for the beginnner and Light Tackle kits for inshore blackfishing.We put these kits together to take the guess work out for the angler just getting into using jig'z to catch blackfish. 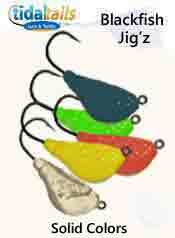 Plus we have the kit for shallow water with the most popular jig'z . Simple to use with a lot less work. 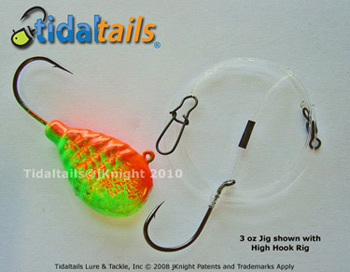 It is a blast on light tackle in shallow water. 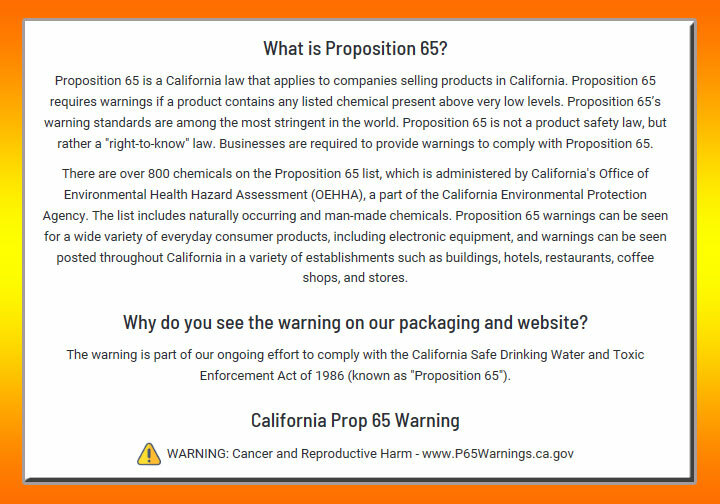 STARTER KITS - PRO KITS - COMBO KITS. 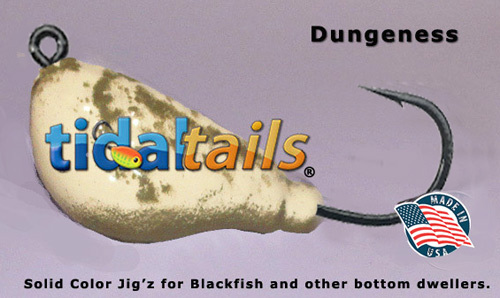 LEADERS FOR USE WITH OUR BLACKFISH JIG'Z AND TO ADD A HIGH HOOK. 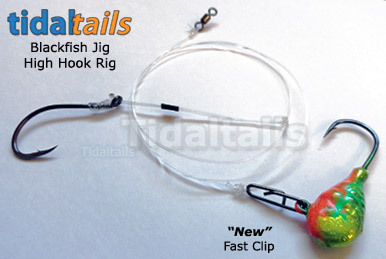 Heavy Monofilament High Hook Rig with Duo-lok Clip and Sampo Swivel. 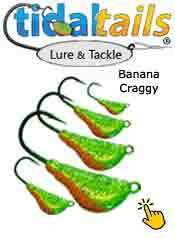 Heavy Duty Fluorocarbon High Hook Rig with Fast Snap and Power Swivel. Deep Drop Fishing. Custom Heavy Duty Hand Tied Drop Loop High Hook Rig Fluorocarbon. Testimonial - 2011 This is where it all started.